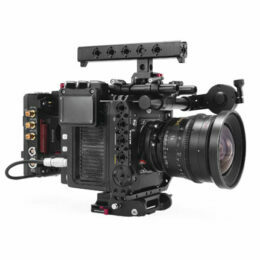 You can put top handle, microphone, wireless focus motor, any 15mm rod adapter and accessories with 1/4″-20 screw on it. What is the voltage of the power output of the V mount battery baseplate? How long can a F970 battery power the camera?